Titus the badger, Finn the falcon, and Shylow the fox are as different as three friends can be. But they all share the same love of sailing. One day they are dumbfounded when they stop their boat for a picnic - and their food appears to walk away on its own! A Very Special Ant is a childrenâ€™s picture book beautifully illustrated by Tanya Maneki. 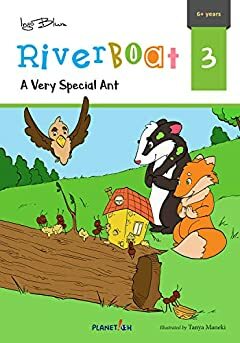 If you and your children like courageous animals, funny encounters, and â€œspecialâ€ creativity, then youâ€™ll both love this charming story.